Every motorcyclist should ride a sidecar at some point in their life, if for no other reason than to live on the wild side. If you really want to get silly with it, you should take vintage-fueled romp on a Ural – a Russian sidecar that is “based” off a pre-WII BMW sidecar design. You really have to be a special breed to own a Ural, and while a good mechanical background isn’t a pre-requisite, it certainly helps with those “unplanned stops” that may occur. While most motorcyclists are turned off by the quirks of the sidecar brand, Ural owners love their machines, and have an almost cult-like relationship Russian company. Take this video from the good folk at Good Spark Garage, which instructs us on how to properly ride a sidecar. Like everything else in the Uralverse, it takes a light-hearted approach to life, the universe, and everything. We think you will enjoy it. Again this fortnight, it is with a heavy heart that we report the passing of two competitors who died in separate incidents while at the Isle of Man TT. Ian Bell died during today’s Sidecar TT Race 2, and Andrew Soar who died during the Senior TT race. Ian Bell, a 58-year-old from Bedlington, Northumberland, was killed in an incident at Ballaspur in the sidecar race. His passenger, who is also his son Carl, was uninjured in the crash. The father-son team of Ian and Carl Bell dropped out of the Sidecar TT Race 1, after circulating in the 4th position, and were looking for a better result in Friday’s race. A distinguished TT racer, Ian Bell won the newcomers trophy in 1995, and had five podiums in his TT career, including a race win in 2003. The day’s other fatality Andrew Soar, was a 32-year-old from Loughborough in Leicestershire. Andrew died at an incident at Keppel Gate. He was an experienced TT competitor, and made his debut at the Isle of Man in the 2013 Manx Grand Prix, where he finished second in the Newcomers A and Senior MGP races. 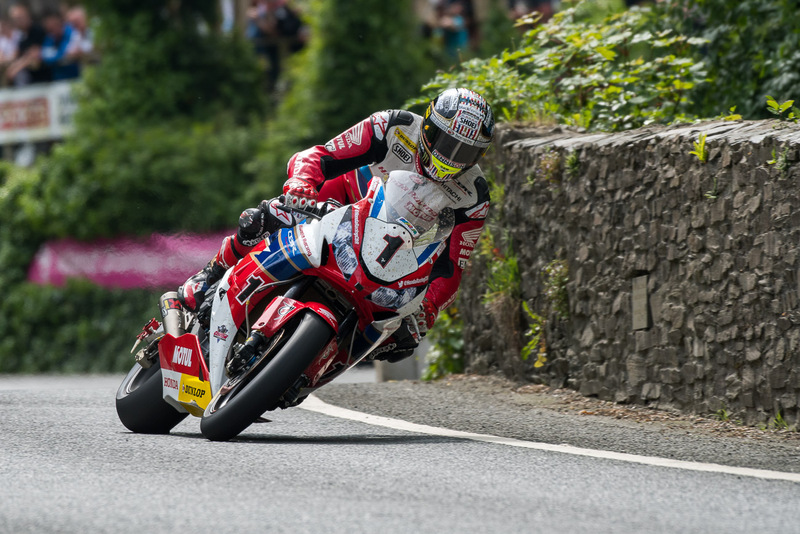 He would go on to win the Senior MGP the next year, and make his Isle of Man TT debut in 2015. 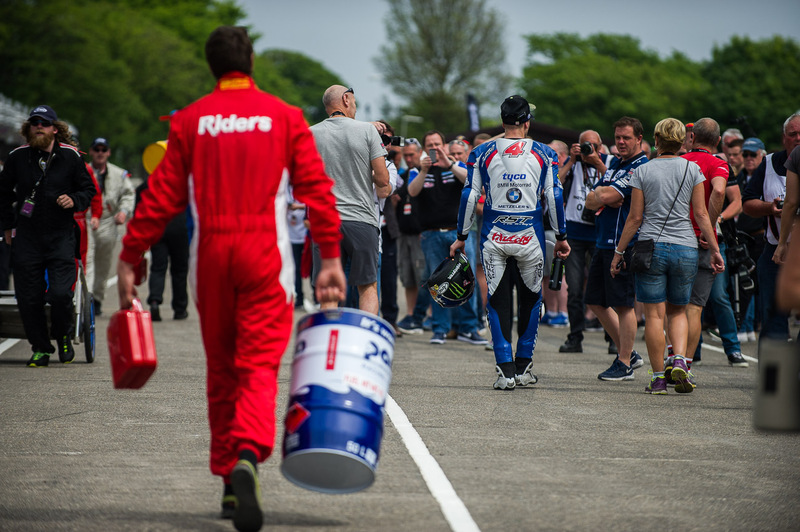 This year, Andrew retired in Lap 2 from the Superbike TT, though he would go on to finis 39th in the Supersport TT Race 1, 47th in the Superstock TT, and 32nd in the Supersport TT Race 2. The TT paddock surely feels the loss of their presence today. Our heartfelt condolences go out to Ian and Andrew’s family, friends, and fans. It is with a heavy heart that we report the passing of two competitors who died in separate incidents while at the Isle of Man TT. Dwight Beare died during today’s Sidecar TT Race 1, and Paul Shoesmith who died during this evening’s solo-class practice sessions. Dwight Beare was a 27-year-old from Melbourne, Australia who moved to Onchan on the Isle of Man. While competing in the Sure Sidecar 1 TT, Beare unfortuantely did not survive a crash near Rhencullen, the race was red-flagged immediately after the crash. Beare’s sidecar passenger, Benjamin Binns, was airlifted from the crash site to Nobles Hospital, and thankfully is reported to have only a fractured ankle. Later that day, 50-years-old Paul Shoesmith from Poynton, Lancashire died during Saturday’s evening practice session. His incident occurred on the Sulby Straight. The practice session was red-flagged immediately following the incident. Everyone here it seems has their favorite rider, and it’s usually someone from their home towns across the UK and across the world; whether it be Morecambe, Ballymoney, Wellington, Bingley, or Grimsby. But I could not find a team to cheer from my part of Nottinghamshire until this afternoon, when I found sidecar outfit driver and passenger brothers Ben and Tom Birchall – from Mansfield. I didn’t ever live in Mansfield, but it’s the town next door where I went to school. The picture of them on the podium says it all; they are clearly instantly likable blokes who are pleased as punch with their victory – and they speak with the same accent as I do. All good enough for the fan club registration. The sidecar class at the Isle of Man TT is about to get a pretty big change, as the ACU has announced a shift in the sporting regulations for sidecars. Already opening up the engine spec for the 2014 Isle of Man TT, the governing body has once again modified what the three-wheelers can use for their engines. Applying the solo-class Supersport engine specs to the sidecar class, teams will have more strict guidelines on what they can and cannot modify for their machines, but they will also have greater flexibility in what engines they base their racing operation upon. Since the Isle of Man TT Supersport class allows for 675cc three-cylinder sport bikes to compete, Sidecar class entrants can now make use of power plants from the Triumph Daytona 675 and MV Agusta F3 sport bikes.